Logging While Tripping™ (LWT™) tools and radioactive sources log from safely inside proprietary collars during the pipe trip and are fully retrievable during operations. Is your MWD Gamma Ray really telling you enough? Porosity and Resistivity logs are essential to fully understanding your reservoir. Logging While Tripping™ (LWT™) allows the safe and economic acquisition of a triple-combo suite of openhole well logs to be acquired in any well geometry. Completion programs can then be customized for specific production zones. 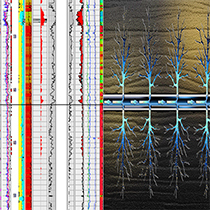 Cordax's LWT™ logging system, when combined with its Zone GraderTM analysis and interpretation package, helps you make informed fracking and completion decisions and enhance the producibility of your reservoir. 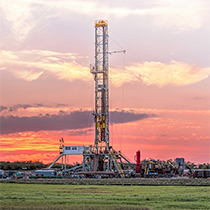 Cordax provides innovative formation evaluation solutions to the global oil and gas industry, allowing our customers to optimize the producibility of their wells. Affordable, efficient openhole logging data acquired during pipe trip in vertical, deviated, horizontal, and tough logging condition wells. LWT is more cost effective, uses less rig time, and has fewer inherent risks than other logging methods. Cordax and their partners provide interpretation solutions to optimize completion programs and enhance well producibility. Cordax's slim line openhole logging service is ideal for small diameter core hole logging and shallow conventional formation evaluation. 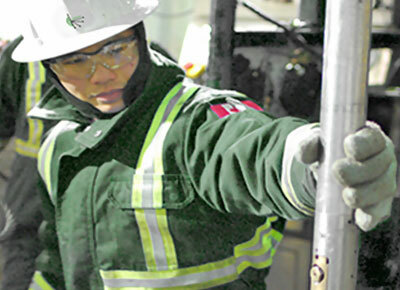 Unique rig‐less deployment and compact logging tools ensure maximum efficiency on high volume core drilling operations.